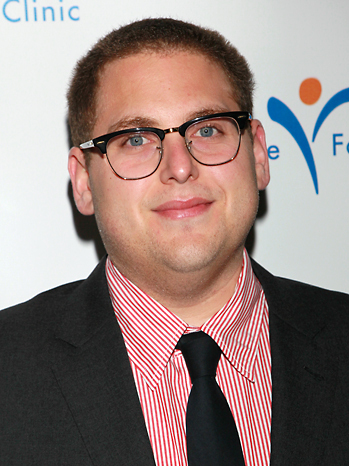 Whenever you need a bulkier actor who can be a bit whiny, a bit of a know-it-all, and willing to look pathetic, the producers always seem to remember Jonah Hill. His character in Moneyball even feels like a Lester prototype, in that he's used his incredible geek skills to someone's tactical advantage. And sure, he's way too young to play the disabled recluse who has masterminded dozens of big scores, but that never stops show-biz people. Lester is a bitter, acidic little man who is adept with the planning and preliminary hacking needed for epic heists the team pulls off. He also is a bit of a motor-mouthed conspiracy nerd, and is also the level head who can disarm a violent argument brewing between the three leads. 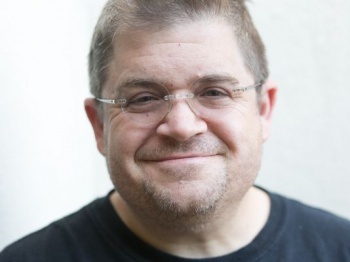 Oswalt, meanwhile, played the exact same hacker role in... cough... Blade: Trinity, and he's the comedian who improvised an eight-minute long pitch for a Star Wars/Marvel crossover during his character's filibuster on "Parks and Recreation." And in real life (Re: Twitter) he maniacally delights in spamming the feeds of his enemies with a ruthless barrage of insults and jokes. He practically is Lester for real.